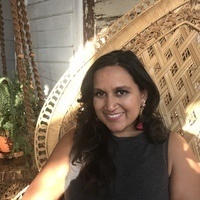 Thursday Night Philosophy Workshop: Serene J. Khader on “Towards a Decolonial Feminist Universalism"
Serene J. Khader is Associate Professor of Philosophy at the CUNY Graduate Center and Jay Newman Chair in Philosophy of Culture at Brooklyn College. She is the author of Decolonizing Universalism: A Transnational Feminist Ethic (Oxford 2018) and Adaptive Preferences and Women's Empowerment (Oxford 2011), as well as a number of articles. "Towards a Decolonial Feminist Universalism"
I argue we can make progress in three contemporary debates about transnational feminisms by a) clarifying the normative commitments central to feminism and b) rethinking the role of normative ideals in transnational political practices. These debates concern the purported tension between taking seriously critiques of Western imperialism and retaining feminism’s status as a normative doctrine. Understanding feminism as opposition to sexist oppression unthethers feminism from commitments to controversial forms of individualism and antitraditionalism. Understanding transnational feminist praxis as a practice of nonideal justice-enhancement permits a universalist feminist position that is not monist about the endpoint of gender justice or the strategies that should be taken to achieve it.